The company was incorporated in 2006, as a private limited company, to undertake real estate projects in residential, commercial and retail sectors. 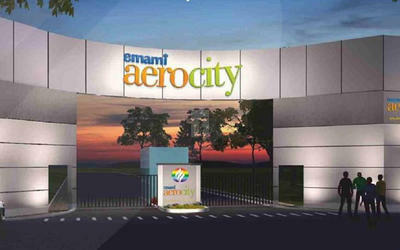 The existing projects span across the states of West Bengal, Uttar Pradesh, Tamil Nadu, Andhra Pradesh and Maharashtra. The Emami Tejomaya an apartment project located at Navalur, OMR, Chennai is one project which has created a change in the realty field and has made known the competitors that Emami has stamped into Chennai. The company has almost 8 million Sq. ft of area encompassing residential and commercial offerings – which are being developed. These projects are being executed under various Special Purpose Vehicles (SPVs) and joint ventures (JVs). 'To become the preferred realty organization for residential, commercial, IT and retail through quality real-estate and infrastructure offerings thereby contributing to the development of the nation and catering to the requirements of Indian citizens'. Emami Realty is synonymous with excellence-Building with Credibility and Sustainability to balance Ethics, Environment and Economics.